In the ever tighter global village, the nation of India and its dizzying array of ethnic groups, ever growing industrial apparatus and wealth of natural resources is becoming more and more talked about by western nations. Despite the difficulties the nation faces to this very day, many westerners of Indian and non-Indian descent alike have more and more reasons to visit the ancient land, from tourists wishing to see some of the earliest human cities on record to business people visiting to seal a valuable deal in person to Indian-Americans visiting their families overseas. However, with some of the difficulties India is facing, they are by necessity keeping a close eye on their borders, and rather reasonably require that visitors to their country have a proper visa to enter India. Getting the visa can be an intimidating process, but it is vitally necessary if one wishes to travel to India. The first step is to visit the Indian embassy or consulates, as it is to get most visas from any country on the planet. India maintains an embassy in Washington D.C. and consulates capable of granting visas in New York City, San Francisco, Atlanta Chicago and Houston. This process can be done online or through the mail, though you will need the proper address of the embassy or consulate you wish to work through. The exact requirements of a visa to India from an Indian embassy will vary widely depending on the reason for your trip to India. After all, a visa for a scientific researcher will probably place different requirements on the consulate than a visa for a tourist. First, you’ll need to figure out which “Indian Mission” your home falls under so you can contract the proper consulate office. Then you must prepare an application file. This requires filling out a form and submitting supporting documents and forms. Again, the exact application form you need to fill out will depend on the exact reason for your visit. In addition to the visa application form and supporting documentation, you’ll also need to submit one or more photographs of yourself. Different types of visas will require different amounts of photographs, and there are specified standards for these photographs which you will want to learn about first before getting pictures taken. The next step is to pay the fees for a visa. The Indian embassy and consulates are flexible in this regard and payments can be made online or offline through a variety of means, but ultimately these fees must be paid to process the application. Once you’ve paid the required fees, you’ll get your filled out forms and required documents together and put them in a single application file that you submit to the embassy or consulate. Please note: If you only require a tourist visa, your request will fall under the new e-Tourist visa program, which you can apply online here. Once your application file is submitted, it may take a while for it to be processed. With any luck, your application will not encounter any bureaucratic problems and it will be granted before you know. 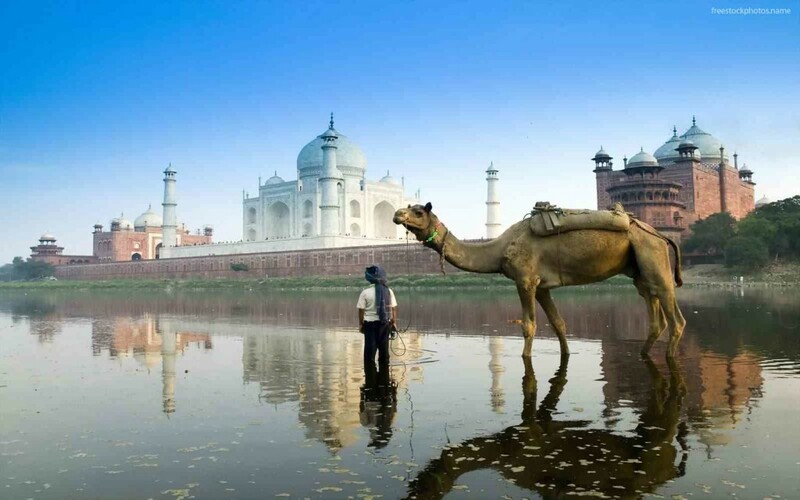 With your visa in hand, you’re ready to see the wonders of India for yourself.